This 17' Single Lane Slide is one of the most popular slides and perfect for some fun in the sun! Safe and easy to climb. Our 17-foot Double Lane Slide is known for thrills with its height and fast paced slip. Its bright colors are sure to get attention! 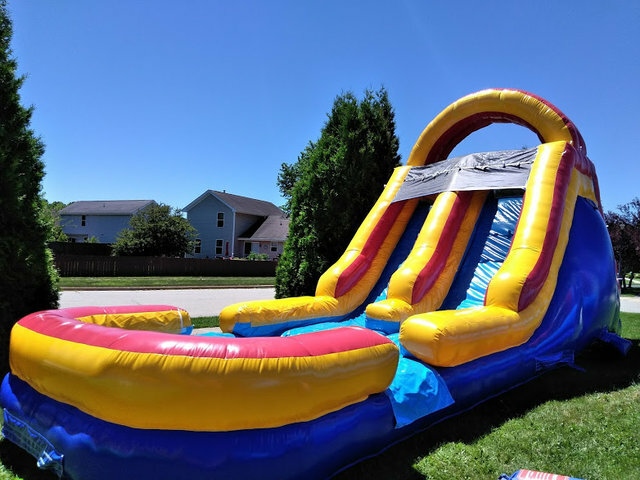 Our 17' Single Lane Slide is ideal for a number of outdoor events, including birthday parties, family reunions, Fourth of July celebrations, carnivals, barbecue, fundraisers and more. This inflatable slide will suit your outdoor entertainment needs.